MIT researchers have developed a foam glider that can land on a perch like a parakeet. To match this commonplace avian feat, they had to master the stall, a maneuver that requires the plane to tilt its wings back at a very sharp angle, creating a turbulent air flow that brings the plane to a near halt in mid-air. See the video below for some great slow-motion footage of the MIT glider in flight. To design their control system, MIT Associate Professor Russ Tedrake, a member of the Computer Science and Artificial Intelligence Laboratory, and Rick Cory, a PhD student in Tedrake's lab who defended his dissertation this spring, first developed their own mathematical model of a glider in stall. For a range of launch conditions, they used the model to calculate sequences of instructions intended to guide the glider to its perch. "It gets this nominal trajectory," Cory explains. "It says, 'If this is a perfect model, this is how it should fly.'" But, he adds, "because the model is not perfect, if you play out that same solution, it completely misses." I'm always impressed by research that brings the dreams of science fiction authors to life. 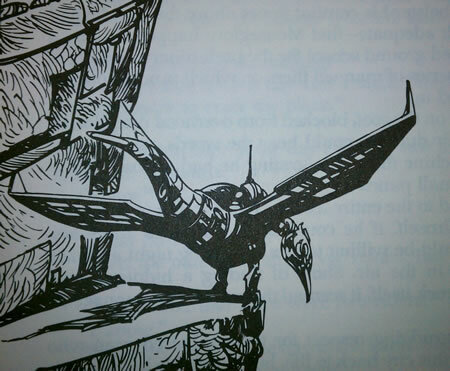 For example, consider the biomimetic tracer-bird from Roger Zelazny's excellent 1980 novel Changeling, illustrated by Esteban Maroto. This device could easily land on a high perch to perform its surveillance duties. See what Stanford engineers are doing on the other side of the country in Perching Project Drones Wait For You . 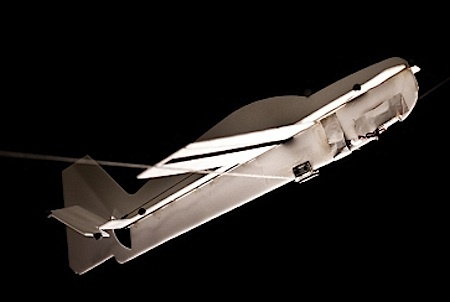 Read more details about the perching glider at the MIT press release.